If for some reason you aren't familiar with legendary makeup artist Rick Baker, he's the guy who worked on An American Werewolf in London, Videodrome, Ghost Story, Captain EO, The Rocketeer, Ed Wood, Men in Black, The Ring, Tron: Legacy, and more. The guy has won seven Oscars for his work! 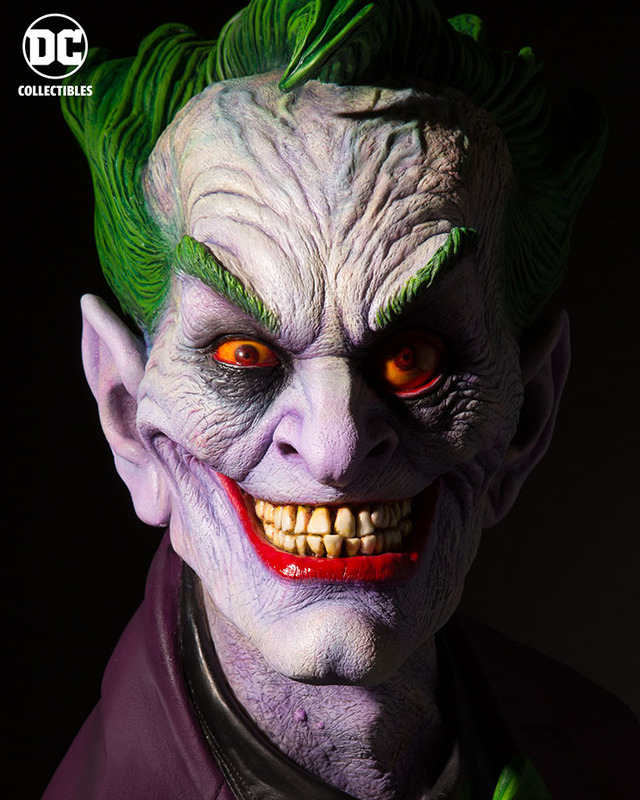 The bust is set to be released in October and there's only a limited edition of 200 of the 1:1 scale busts being made. Each bust will be individually numbered and released through DC Gallery. I want one, but there's no way I'll be able to afford it.